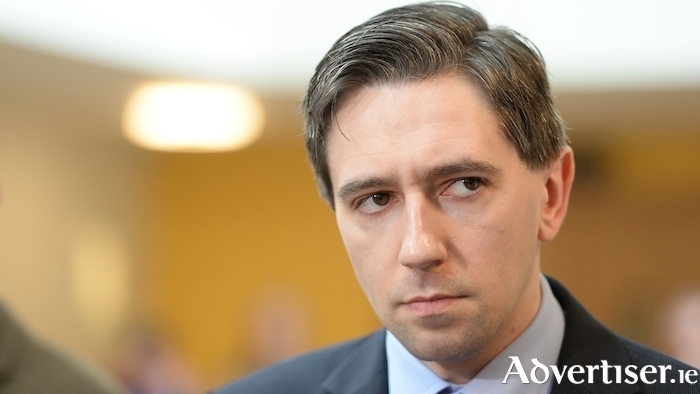 Abortion Access Campaign West is calling on Health Minister Simon Harris (pictured above) to introduce exclusion zones around GP clinics offering abortion services. Exclusion zones must be created around hospitals, healthcare centres, and GP practices to ensure every patient can approach and enter a premises to access healthcare "without fear". This is the view of Abortion Access Campaign West, which is calling on the Government to introduce legislation for such exclusion zones. The call comes following protests by anti-abortion activists outside GP clinics offering abortion services, which some contend are intimidating and involve protesters asking personal questions of those entering the clinics. "It is totally unacceptable if patients or their visitors are at risk of being accosted, or apprehended, by a group or individual, asking them personal questions, holding placards or banners, or taking notes on them," a spokesperson for AAC said. "The public will not accept this harassment of patients and we call on the Minister of Health to act speedily to protect us all." AAC said there are "excellent examples" of "good quality legislation and by-laws" that can be drawn on to create such laws in this State, and it is urging the Minister for Health, Simon Harris, to liaise with Lawyers for Choice, which has been compiling examples of "best practice in protecting women and medics". A recent investigation by The Times Ireland alleged that a US anti-abortion group, Sidewalk Advocates For Life, was training people in Ireland to intercept women before they access abortion services, in order to persuade them not to go ahead with the termination. The investigation revealed the group's plans to get around new laws for exclusion by approaching women in car parks. On Tuesday, The Times revealed that the group had removed all references to its Irish location from its website after the newspaper's investigation. AAC condemned the group's efforts. "The Irish electorate voted overwhelmingly to repeal the Eighth Amendment and legal abortion services are now available in Ireland," the spokesperson said. "British and US based anti-abortion groups behind this harassment campaign hold moralistic views they are attempting to force on people in Ireland. They want to make decisions about our bodies for us." It also said this, coupled with the protests outside GP clinics, is an "attempt to roll back a woman’s right to choose" by making it "much harder" for women to access care. It said the issue is "particularly pertinent for GPs and patients in rural areas". The spokesperson said: "We need to eradicate the stigma around abortion; and allow all women and their families access to the full range of reproductive health services in a balanced and supportive way. We call on the Minister to move introduce exclusion zones, provision of free accessible contraception, and high quality relationship and sexuality education for everyone in Ireland."